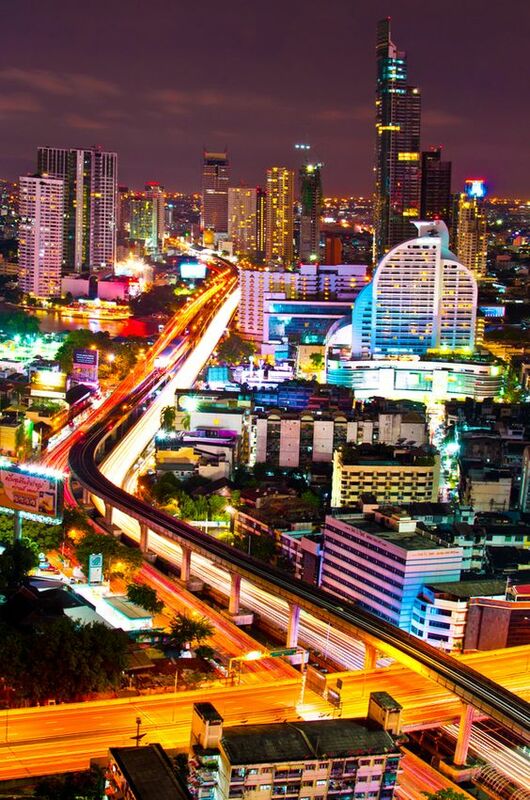 The Thailand Art Scene presents itself in many forms that seemingly culminate into a pure artistic talent which simply abounds and astounds all who welcome it in this beautiful part of the world. I'd like to invite you to discover a vast selection of Thai Art on offer to enjoy and remember long after your vacation is over. Sometimes one gets the impression that art is only confined to some sort of painting be it oil, charcoal or watercolour. As an artist myself, I am continually asked what sort of paintings I create. When I tell colleagues and friends that I actually don't paint at all, they seem a little surprised. That's because I create modern artworks with mixed media like wood, plastic and steel. The true meaning of art can be expressed in a number of ways as experienced in the traditional, classical or modern art, contemporary or antique furniture, sculptures or carvings, theatre or cinema, music or literature, fashion or jewellery and more. I shall discuss a few of the amazing types of art from the extremely impressive Buddhist Art all the way to the delicate performing arts of Thailand. Why not go and experience the thrill and excitement in a world of many colours and flavours. Delicate and intricate hand painted umbrellas and fans created from fine silk and paper are just some of the many examples you can view on the Thailand art scene. 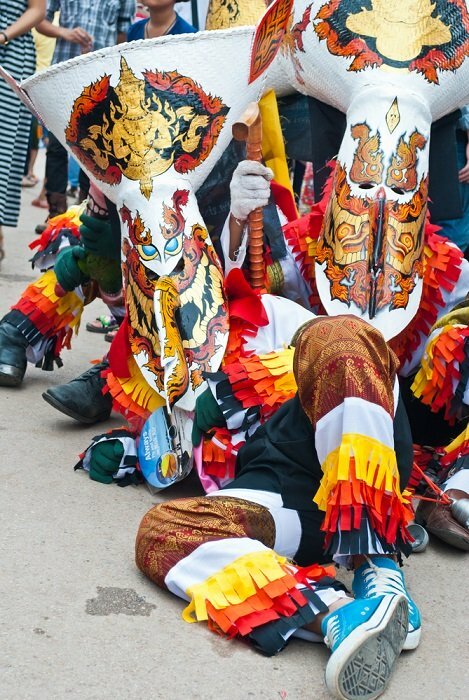 The best place for you to witness this would be in the northern province of Chiang Mai where you can actually experience the whole process from beginning to end from some very talented Thai artists and craftspeople. You are more than welcome to commission a design of your choice or purchase any one of many examples on sale at the factories or craft markets around town. The techniques use to create pottery and ceramics as a Thailand art form has been around since the beginning of the 14th century. Vietnamese, Burmese and Chinese ceramics had been discovered around the country which later influenced the styles, shapes and intricate design patterns you now see in authentic Thai ceramics giving them their unique character. Exporting ceramics to foreign borders created wealth and benefits for all Thai communities. Thai ecclesiastical ceramic wares from the 14th to the 16th centuries are analysed from a historical and cultural perspective in this study. A systematic analysis of the pieces and their role in local Buddhist and animist religious ceremonies is contextualised with background on Thailand's history, politics, and cultural practices. The various cultures that influenced the form, function and design of these wares are discussed with comparisons made to similar products from other Asian cultures, including Vietnam, Burma, Cambodia, China and India. If you take the time to view a few of the amazing temples around Thailand you'll notice some unique, colourful and intricate details on the gables of the temple buildings as well as the entrance gates offering you as a visitor, an interesting insight into Thai art and culture. I find the lavish ornamentation of these temples present a sense of welcome and inspiration to all who enter. If you would like to see more of what Thailand has to offer in the way of unique artworks, then you should try and visit as many art galleries around the country as you can fit into your itinerary. You can also scout around the art and craft markets to find many interesting and unusual local art, including some amazing examples of stone, bronze, ivory and wood carvings as well as intricate soap and fruit carvings. Gemstones and jewellery, metal and bronze art as well as fashion fabrics in cotton and silk are some of the exquisite examples of art you'll find in all the main tourist areas of Thailand. You can visit any number of the Thai Art Shops in the tourist resort towns of Pattaya and Phuket who offer both original art and copies of original art by the local Thai artists in the area. Why not commission your own portrait to be sketched or painted from a holiday snapshot. Even a family favourite makes an excellent gift or memento. Here are two paintings that I purchased in Pattaya. How would you like to go on a street art and food tour that shows you the very best and perhaps also the most hidden treasures of Bangkok? 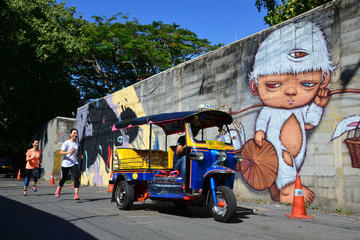 A local runner will take you to view the most impressive street art of the Thai capital and along the way taste some delicious Thai street food. For more information about this tour, please see the link above. And now for something completely surreal in terms of how far artistic merit has developed in our modern society. And in this particular case, we take a trip to a little-known bakery a few kilometres west of Bangkok. Forget about everything you ever thought possible in creative art form because once you get the opportunity to meet this undergraduate art student with a masters degree in fine arts, you'll probably just stare in disbelief at some of the bizarre bread body parts he has created out of dough in his family's Bangkok bakery. Read more.